Meals should be a happy and pleasant childhood experience. In our busy lives, it might be one of the few times when we all slow down and check in with one another. But I hear from my patient families all the time that it's anything but relaxing. 1. How anxious are you about your child’s eating? 2. How would you describe what happens during mealtime? 3. What do you do when your child won’t eat? 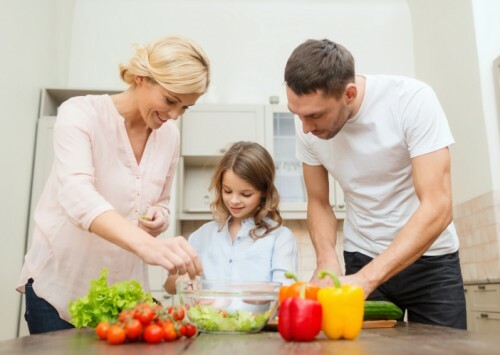 Here are some tips on eating mindfully and encouraging your kids to eat in a manner that gives them more energy and helps them avoid chronic disease. These are easy ways to change your lifestyle that don’t involve a ton of work and expensive supplements. 1.Drink more water. Kids should not drink juice or soda except on special occasions. 2.Drink milk with meals. Children from age 1-2 should be on whole milk. After the age of 2, low fat or skim milk is recommended. 3.Vitamin supplements are not needed unless your child does not drink milk. Vitamin D is essential for bone health and immune function and may play a role in prevention of chronic disease. 4.Serve 5-9 servings of fruits and vegetables daily. Encourage your children to at least take a bite of everything you serve. Remember that children will need to taste a food 10-15 times before they decide they like it. Lean protein like fish and baked chicken might be better accepted if you add ketchup as a condiment. 5.Add healthy protein likes nuts (for older children) and legumes. Peanut butter is fine for younger children and new allergy immunology guidelines suggest that early introduction of peanut may actually decrease the risk of peanut allergy. 6.Eat more meals at home. Keep staples such as eggs, whole grain pasta, pasta sauce, yogurt, carrots, frozen vegetables, chicken breasts, and fruit stocked at all times so that in a pinch you could throw together a simple meal. 7.Double your recipes and freeze 1 meal at the same time that you cook the other meal. This will save you from making a trip to a fast food restaurant when you have that go to meal in your freezer. 8.Serve only whole grain breads and pastas. 9.Avoid buying, eating, or serving processed foods (chips, cookies, cakes). 10.Avoid fried foods and fast foods. To read more about nutrition needs of children at different ages, I highly recommend the book “Nutrition: What Every Parent Needs to Know" available on the American Academy of Pediatrics (AAP) online bookstore. See choosemyplate.gov for more information about how your child’s plate should look at meal time. Realize that children’s tastes will change over time. They will sometimes refuse foods they readily accepted in the past, and they will readily accept foods that they refused in the past. Involve your children in shopping and meal planning. Let them help in the kitchen! Take them to a local farmer’s market and let them choose something new for everyone to try. Take a matter of fact and pleasant approach to meal times and ENJOY YOUR FAMILY! Create wonderful childhood memories. 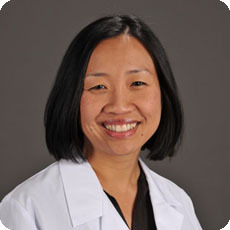 Get to know Kim Mangham, M.D. ​Dr. Mangham is a pediatrician at Keller Parkway. She earned her medical degree at University of Texas Southwestern Medical School in Dallas. She completed the pediatric residency program at University of Oklahoma Health Sciences Center in Oklahoma City. Her interests include breastfeeding education as well as disease and injury prevention. Dr. Mangham is board-certified in pediatrics. New and existing Cook Children's Keller pediatrician offices patients can make an appointment by calling 817-431-1450 or by clicking here for more information.